Through crime fiction, we can see the bright truth in our dark secrets. Social Justice Comedian, Director of The Muslims Are Coming! Self-described as the “Demon Dog” of American literature, James Ellroy is best known as the mind behind such legendary books as L.A. Confidential, The Black Dahlia, American Tabloid, and his most recent novel, Perfidia. The “Godfather of crime fiction,” Ellroy is the only crime writer to receive mainstream literary honors, including TIME’s Novel of the Year (for American Tabloid) and Best Book of the Year (for his memoir My Dark Places). Unconventional and beyond unpredictable, Ellroy’s talks are dynamic, dramatic dynamite. Celebrated for his hard-boiled, jazz-inflected books, like the L.A. Quartet and the Underworld U.S.A. Trilogy, James Ellroy is a master of crime stories, intrigue, and mid-century gangland justice. In candid talks, he shares the historical inspiration behind his books and the literary tradition he’s made a home in. Hilarious and brutally honest, Ellroy offers a secret history of the mid-late 20th century; full of political and legal corruption. He explodes one of our greatest collective myths to expose that America has never been innocent. Leading audiences through tales of neon-lit American history, gossip, and the criminal element that inspires him, Ellroy’s talks are uniquely engaging: funny, frightening, and brilliantly told. Ellroy’s forthcoming novel, This Storm (June 2019), is the second volume of his Second L.A. Quartet. The first volume, Perfidia, achieved international-bestseller status. The Second L.A. Quartet places real-life and fictional characters from Ellroy’s first two bodies of work in Los Angeles, during World War II, as significantly younger people. As with all of Ellroy’s work, it is uniquely ambitious, mysterious, and deeply satisfying. As for his keynotes: audiences are rapt as he delivers rapid-fire insights both vulgar and venerable— a train tearing down the tracks at break-neck speed. It's impossible not to be swept up by Ellroy’s incredible candor, spontaneous quips and clever asides. He possesses a preternatural ability to swing from fervent, fever-pitch delivery to almost brooding solemnity without missing a beat. Whether discussing his impressive canon of writing, or fascinating personal life, Ellroy is truly a masterful storyteller, offering an unprecedented perspective both in writing and on-stage. 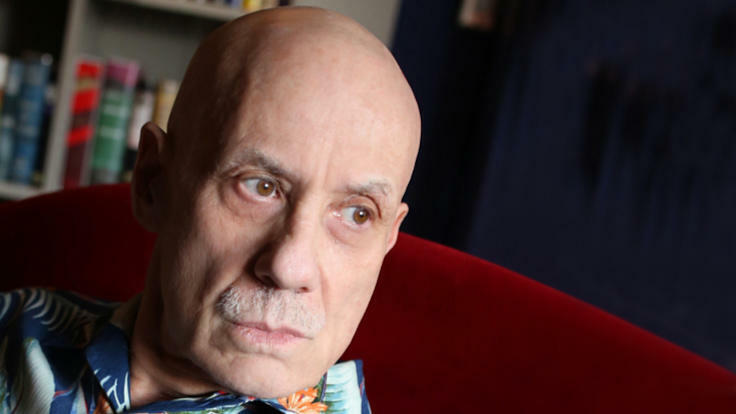 Whether fiction or non-fiction, every story that compels James Ellroy is lovingly, obsessively lifted from life. Ellroy is a chronicler of another time—an era of Raymond Chandler and Dashiell Hammett, steeped in Edward Hopper lighting. In Ellroy’s hands, the crooked cops and dauntless detectives of 80 years ago seem as present, and prescient, as the stories of today. A remarkable speaker, Ellroy’s talks are a mix of fact and fiction, drawing on his own dramatic rise to literary stardom with books like L.A. Confidential, and the characters (both real and invented) that delight and fixate him to this day. Audiences will be delighted, inspired, and transported to Ellroy’s noir universe—one they likely won’t want to leave.